Gov. 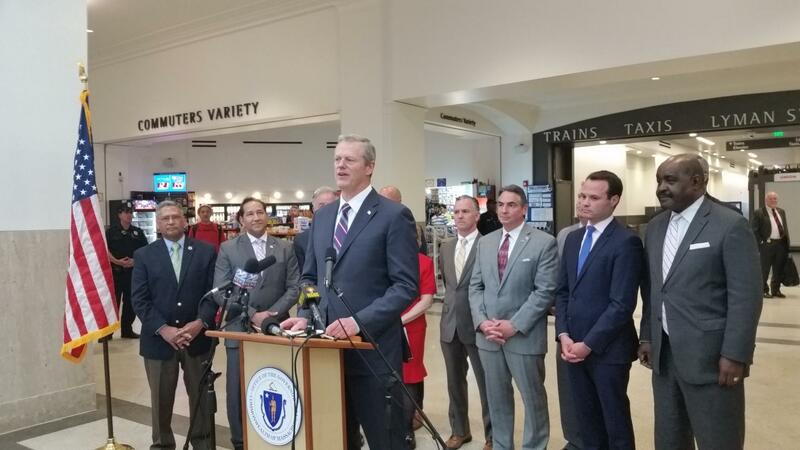 Charlie Baker with federal, state and local officials at Springfield's Union Station announced new passenger rail initiatives for western Massachusetts. 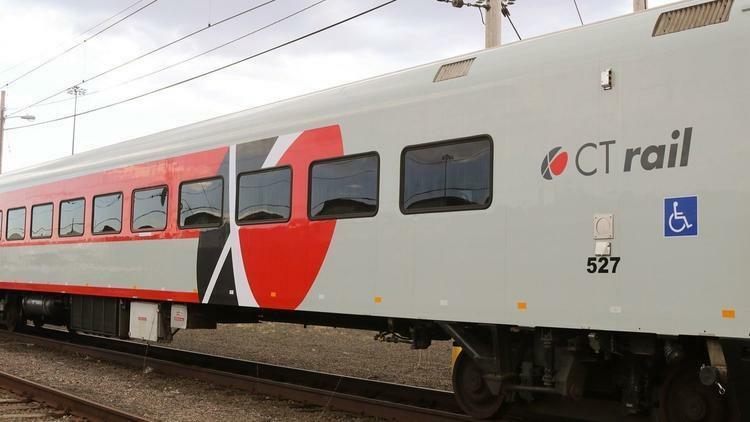 Starting in the spring of 2019, a new daily passenger train service will begin operating with stops in Springfield, Greenfield, Holyoke, and Northampton. At about the same time, a feasibility study should be getting underway into the much discussed possibility of running a high-speed passenger train between Boston and Springfield. Gov. Charlie Baker came to Springfield’s Union Station Tuesday to announce a finalized agreement to begin the rail service between Springfield and Greenfield and to seek requests for proposals from engineering consultants, beginning Wednesday, for the east-west rail study. "I believe this is the beginning of a whole series of initiatives that will be incredibly important to this region and to the Pioneer Valley generally," said Baker. He thanked U.S. Rep. Richard Neal and U.S. Rep. James McGovern and members of the region's legislative delegation for help move the initiatives along. The announcement came just days before the scheduled launch of expanded train service between Springfield and New Haven on the newly constructed Hartford Line. Amtrak will operate two daily round trip trains – one in the morning and one later in the day – between Springfield and Greenfield on a pilot basis for 30 months, according to Massachusetts Secretary of Transportation Stephanie Pollack.
" 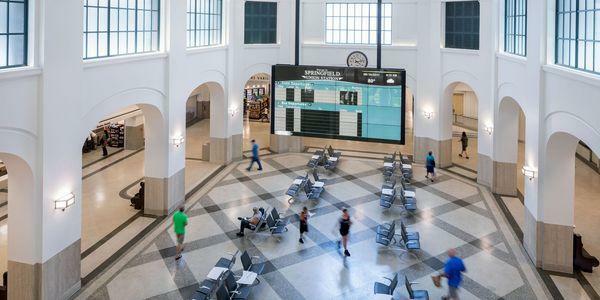 We are still finalizing the schedule, but it is designed to ensure -- for those who really love train travel -- that you will be able to take an early morning train from Greenfield to New York and return the same day," Pollack said. The new rail service will cost Massachusetts $1 million annually. The trains will run on the Knowledge Corridor Line on tracks that were rebuilt in 2013 with $73 million in federal stimulus money. Currently the line is used by just the daily Amtrak Vermonter service. The goal for the pilot Springfield-Greenfield train is 24,000 passengers a year, according to Tim Brennan, Executive Director of the Pioneer Valley Planning Commission. "We have to prove the ridership, that is why it is a pilot, but we have every intention of making it work and be sustainable well beyond the three years," said Brennan. He said the goal of transportation planners is to create a high-speed passenger rail network in the Northeast linking the major metropolitan areas with Springfield as the hub. "What we do with rail in the (Pioneer Valley) is nothing short of a game changer," declared Brennan. Until Tuesday’s announcement, Baker, a Republican, had resisted a feasibility study of east-west passenger rail. He once vetoed the study from the state budget. 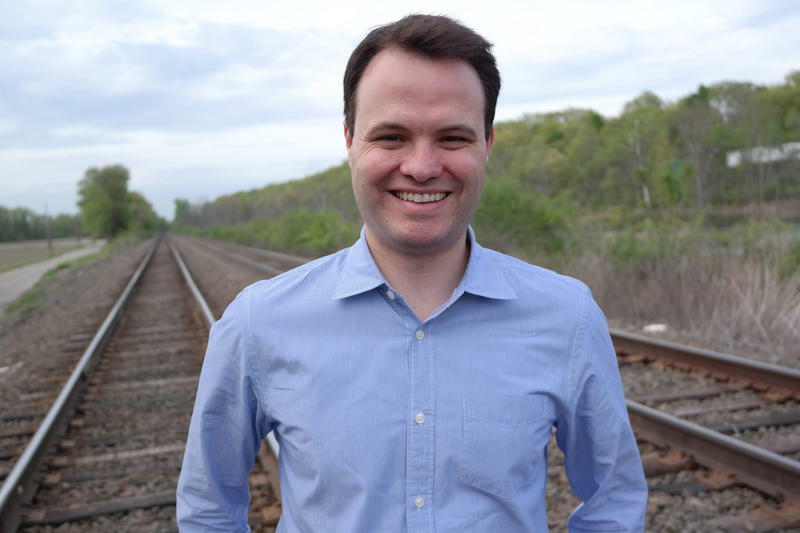 Democratic State Senator Eric Lesser of Longmeadow has led a three-year effort in the legislature to get MassDOT to do the rail study. "This is really a victory for all those activists, all those people , who really understand we can't continue to have an economy that vacuums out the jobs and opportunity from western Mass and hyper-concentrates them in cities like Boston," said Lesser. "We need to spread out the benefits of this new economy and the way to do that is with rail." The feasibility study, which is expected to take 12-18 months to complete, will include the possibility of rail service to Pittsfield as well as a stop in Palmer. The Amtrak Vermonter train used to stop in Palmer until it was re-routed to the Knowledge Corridor Line that runs parallel to the Connecticut River. Additional taxpayers’ money is being sought to pay for the upkeep of the newest transportation hub in western Massachusetts.